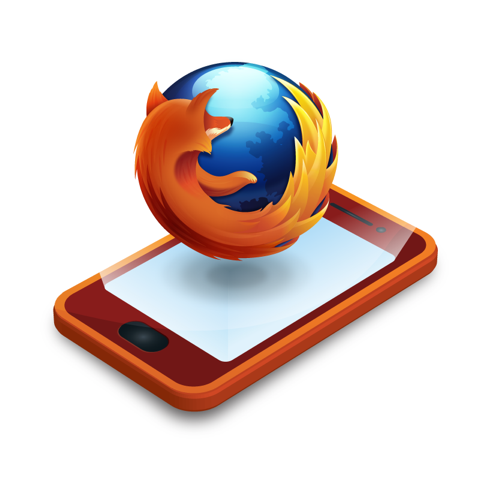 Mozilla is going to launch its Firefox OS for mobile operating system turning to heat the upcoming smartphones. This is going to compete the Apple and Google smartphone market as this already got the backing from most of the telecom companies.The well known telecom companies that are backing Mozilla Firefox platform is Smart Telecom Italia, Etisalat, Deutsche Telekom, Sprint and Telenor. For any upcoming smartphone platform in the market is very vital to get the support of the telecom companies and handset makers. This support is already being achieved by Mozilla Firefox OS and thus this will help to take off the present market which is being lead by Google Android Software which has captured 60% market share along with Apple iPhones with its iOS software. The first Firefox OS powered smartphones will run first in a Qualcomm Snapdragon processor and will be launch at Brazil in early 2013 via Telefonica’s service which will be followed by the other parts of the world. The applications that are included in the Firefox platform are already being done on HTML5 so is till now referred to as the standard content for mobile browsers and it also helps to remove the middleware layers which helps to reduce the cost of the OS. For creating the software Mozilla is working with Telefonica. The other useful technology is the markup language which is used for online content structuring such as web apps and media. According to Telefonica the price of the phone will be cheap as compared to the other low-end Android smartphones model. This will help to adopt this smartphone in the developing market. Firefox OS has to struggle in order to get success in the smartphone market which is captured by iOS and Android. The hardware that used for running the mobile operating systems is provided by ZTE and TCL communication Technology and they are the first manufacturing partners. According to the report the OS of Firefox will be better than other smartphone OS and will also be available for postpaid, prepaid and wholesale customers with lower cost as compared to the other smartphone of Apple and Google. Can Firefox loosen the stranglehold that Google has on the market? Or is Android too robust and entrenched to give up its grip so easily? Let us know your thoughts on the matter.